Lake Trout Limit Includes 24 lb. Lake Trout! 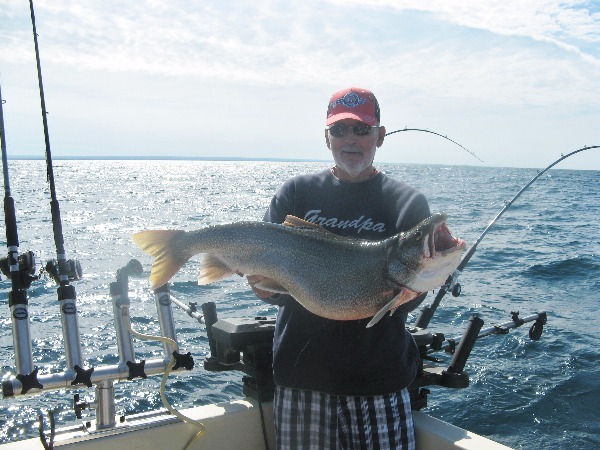 On Tuesday, July 12th on a hot , hot day on Lake Ontario with the seas starting to build, the Lee Kirkpatrick party had a good day fishing resulting in limiting out on Lake Trout! But the highlight of the day was the 24 1/2 lb. Lake Trout that was hauled aboard by George! 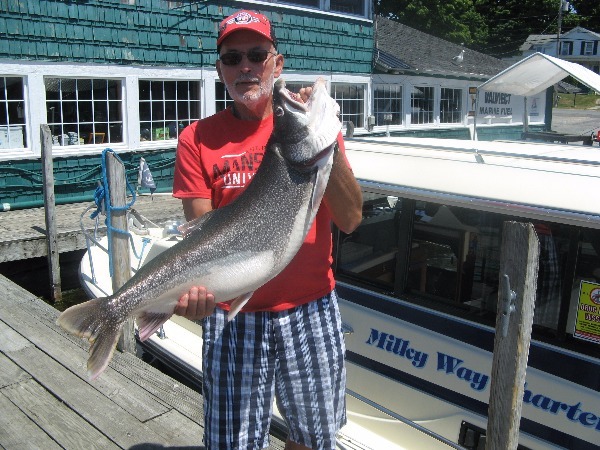 This fish happened to be the 3rd largest Lake Trout caught on the Milky Way! So congratulations, George for landing such a big fish. You do have bragging rights on this one! Tuesday, July 5th proved to be a very good day for the Muhasky family as they came to Lake Ontario to try their hand at fishing. Lois, along with daughter, Leana and son, Sam had a busy day hauling in some good sized Lake Trout. It was a beautiful day on the water and the family did a great job of catching the bread and butter fish of Lake Ontario! Rough Waters But Happy Clients! 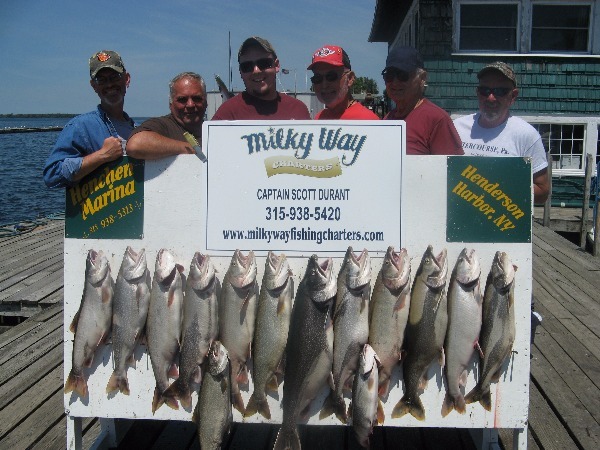 On Monday, June 27th, the Dave Gracey party chartered the Milky Way to try their hand at fishing on Lake Ontario. Unfortunately, Lake Ontario was not on her best behavior that day as the gusty winds made for a rocky day of fishing. In spite of all that, Dave, Kim and family caught some big Lake Trout and enjoyed their day on the water!